I’ve got a great new Candy Corn Fudge Recipe to share with you today! I love Candy Corn and Fall and Fudge and well… You get the point :) All of my favorites in one awesome recipe! Here’s what you need, this recipe is super simple: Sweetened Condensed Milk, Vanilla, White Chocolate Morsels (2 Bags) and Candy Corn! I made this 2 ways, the Normal Pour your Fudge in a Pan way which makes it look cool when it’s cut into squares and then I made some in little cupcake liners which turned out bite size and would be super cute for a party! 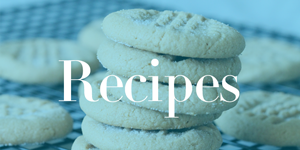 Check out all of the Recent Recipes we have posted this week!